Where I live, we’re anticipating snow and an icepocalypse (thanks to eager weather forecasters who thrive on the drama of a scary forecast). Because of the amount of ice we may get, it’s likely we’ll lose power, not something that endears this winter to me any more than it already hasn’t. But I thought you might like some book recommendations, in case you lose power and are cut off from TV and movies and the outside world in general. These three books are my first three library books in ages. Two of them made me wait months while they worked their way through the library hold list, and the other practically leapt off the shelf at me when I walked by. I’ll share them with you in the order that I read them. I don’t know what you were doing when you were thirteen, but I wasn’t writing a book that would become a New York Times bestseller and be translated into multiple languages. But Naoki Higashida has done exactly that. What’s most remarkable is that Higashida has autism but has broken through language struggles to write a moving book about what it’s like to be an autistic child. He has learned to communicate using an alphabet grid. When I think of how long that must take to write a book with an autistic mind and alphabet grid … well, I’m amazed. He tells of writing short stories to help him remember something he has learned, and a few of his short stories appear in the book. Reading his book has transformed what I thought of autism, and whether autism affects someone dear to you or no one you know, Higashida’s writing will help you see one person’s remarkable insights into the disorder. I dare you to walk away without gaining more compassion for those who struggle with autism. I read Simon Van Booy’s short story collection Love Begins in Winter several years ago after hearing him on The Diane Rehm Show. His writing style is elegant yet straightforward, and that sense of simplicity may lead you to underestimate where Van Booy is going with his work. I enjoyed Love Begins in Winter so much that when I walked by the library shelf where The Illusion of Separateness sat waiting, it really did seem to leap off the shelf into my hands. Only twice in my life have I finished a book and immediately wanted to start reading it again. The Illusion of Separateness is one of these books. The book begins with a quote from Thich Nhat Hanh that inspired the title: “We are here to awaken from the illusion of our separateness.” The six characters whose points of view we uncover in the book are under the illusion that they are separate, but from World War II Europe and America to present-day, we learn that they are not separate at all. My love for you … will always be stronger than any truth. The first character we meet, Martin, loves the elderly residents of the retirement home where he works, and we learn from his memories that he had loving parents who spoke their words of love openly to him. He echoes back these words to his mother in the quote above. Love drives these six characters to surprising connections with one another. It’s the weaving together of their tales that makes Van Booy’s novel so beautiful. And it’s what makes the ending such a delicious pleasure to read. Maybe you, too, will discover that you want to reread it immediately after you finish it for the first time. If you’re snowed in and can’t get out right away to get this book, you might enjoy hearing Diane Rehm’s interview with Van Booy about the book. There, you’ll also find an excerpt of the book. 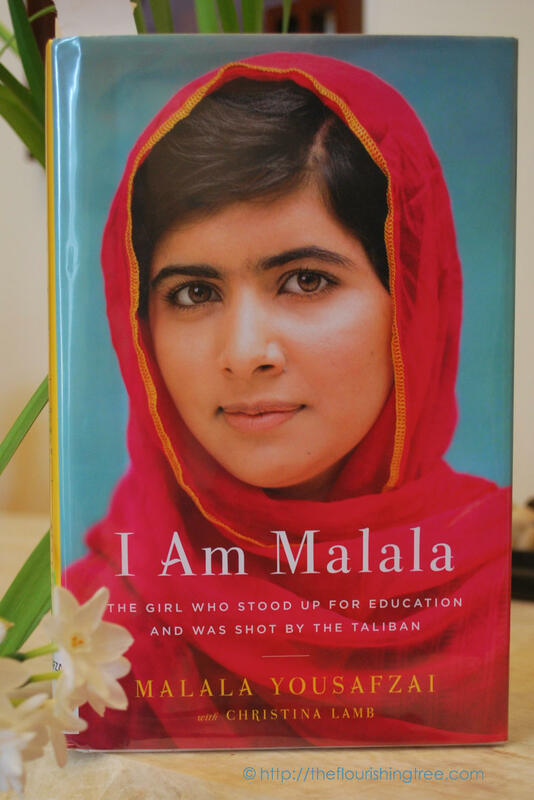 You may remember that I blogged about Malala Yousafzai when a terrorist (of the Taliban variety) shot her in her small hometown in Pakistan as she was riding a bus home from school. This amazing girl survived, has written a book about her ordeal and is using her fame and position and influence to raise money for girls’ education all over the world. You can learn more about her organization at malalafund.org. What Yousafzai does best in this book is put you in her shoes. She teaches you Pakistan’s history but also makes you see the natural beauty of Swat Valley through her eyes. She walks you through the increasing threats and fears that she and her family faced for their efforts at education. “Are you scared now?” I asked my father. She places you in her parents’ shoes and her own as she struggles for life after being shot. This is not an easy book to read. If it weren’t for the library due date and a lengthy list of eager readers waiting for the book on the library’s hold list, I’d probably have set it down in favor of a lighter read and then come back to it later. It’s emotionally difficult in places, and it’s hard to read it as an American and feel especially good about our country’s role in Pakistan’s struggles and decades of our policies that have affected that entire region. Yet it is an easy book to read. Malala speaks to the reader as she would to a friend, and the courage, bravery and love that holds her and her family together is spell-binding. I’ve shared this video before, but it’s so worth watching again: Jon Stewart interviews Malala Yousafzai. As I read the line in Yousafzai’s book that I quoted above and used for the title of today’s post, it occurred to me that all three of these books share a common thread of breaking down the isolating barriers that keep us from understanding and loving one another. Perhaps that is what I was responding to most as I read all three and listened with newly opened ears to hear the words of love in these authors’ pages. So there you have my book recommendations. For some, it comes too late to get out before the snow hits. I took time off in the middle of writing this post to get pelted by angry, fast-falling snow on a lunchtime run – likely my last for several days – and now everything is covered in white. At least I have plenty of good books to read. How about you? If you’ve read any of these three books, I’d love to hear your thoughts. Have other recommendations? Please share them in the comments below. It looks like winter will give us the opportunity for more reading days. 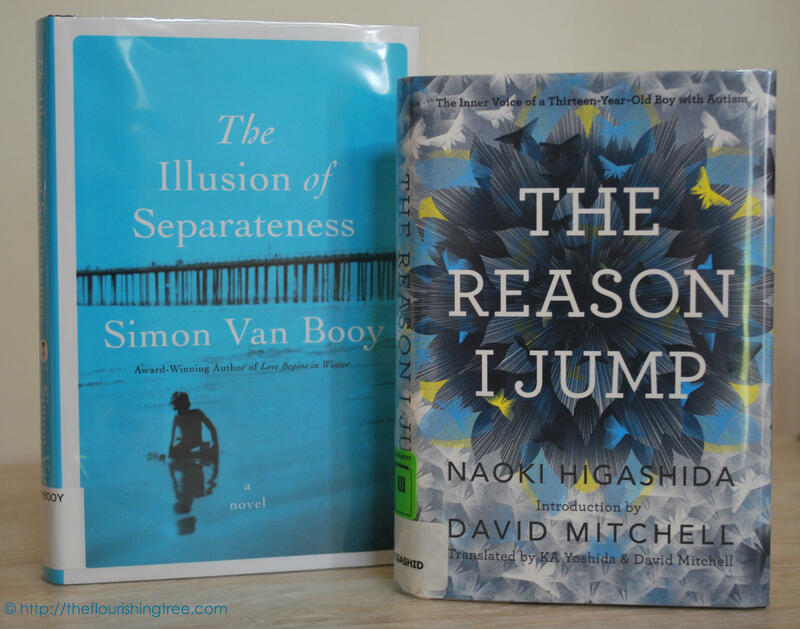 This entry was posted in flourishing tree and tagged book review, books, I am Malala, isolation, loneliness, love, Malala Yousafzai, Naoki Higashida, Simon Van Booy, teenage authors, The Illusion of Separateness, The Reason I Jump, words, writers by hopesquires. Bookmark the permalink. Good book reviews. 🙂 thanks. I might try the malala one. I enjoyed reading your book reviews. I really want to read I AM MALALA. Thanks for the review of this book. I’m glad you enjoyed the reviews, and I look forward to hearing what you think of I Am Malala!